Voltage and wire feed settings are very important, but the welding technique used, how you manipulate the arc..., can make a huge difference in the outcome. 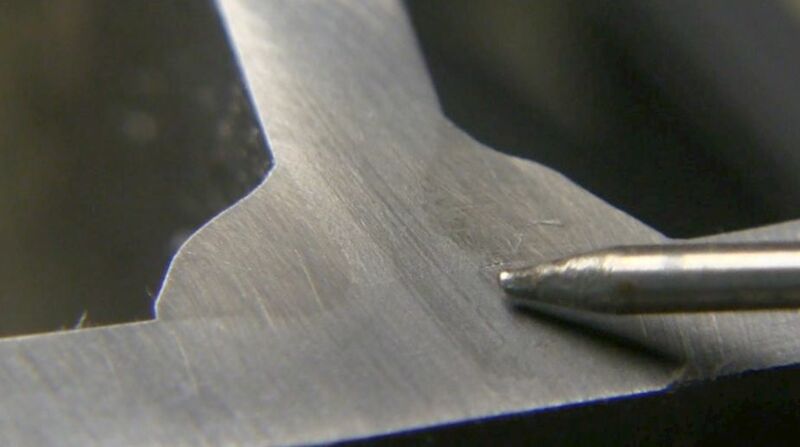 The technique for mig welding thin sheet metal is different because here is very little risk of lack of fusion there. Warpage and blowing holes is more of a concern on thin sheet metal like auto body panels. But for anything thicker than 1/8" .125" (3.2mm), I like to use a technique that keeps the arc towards the leading edge of the puddle. So in this video, I tried to demonstrate what can happen when the arc is not kept on the leading edge of the puddle...as well as what happens when the machine settings are right and the arc is kept on the leading edge. Using a technique that keeps the arc in the back of the puddle can result in lack of fusion in the root of the joint. In the example below the naval jelly etch reveals quite a lot of lack of fusion in the weld on the left. 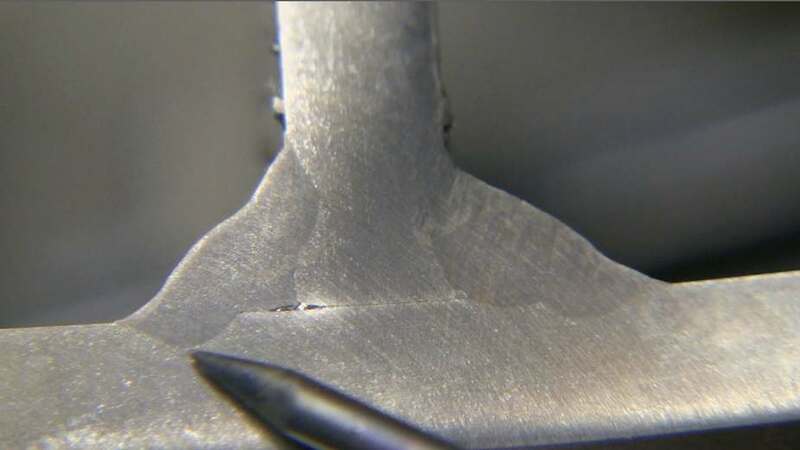 Welding Codes like AWS D1.1 are careful to require specific procedure qualifications for short circuit mig (gmaw-s). While its great for general fabrication on all kinds of shapes like square tubing, dom tubing, angle, channel, etc. ....And especially in areas like motorsports, plant maintenance, fabrication of fixtures and tooling required in manufacturing... There is always a risk of lack of fusion. So its wise to recognize the limitations of short circuit mig. 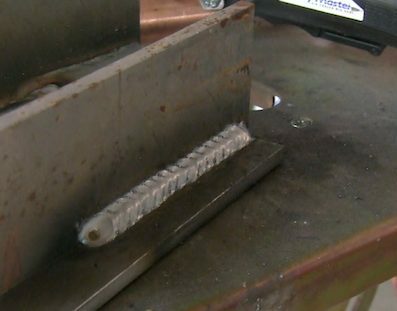 Other processes like spray transfer mig, pulse spray, or flux core are better choices for heavy structural welding.